An important question arises when we take either of Legumes, Seeds, or Grains in dry state and their Sprouts. When the importance of their benefits are understood, all will go for the sprouts. This will only be established when it is demonstration through use of both systematically and clinically. We know this for sure as major chunk of world’s population consumes legumes throughout our lives. 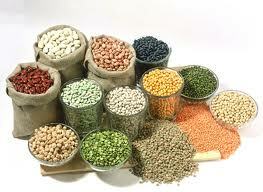 1) Nearly all Legumes, Seeds, Grains are nutritious in their dry state. In their dry state they contain inorganic and insoluble elements. 3) The elements in the Legumes, Seeds, Grains are rearranged during sprouting due to the action of Water, heat, darkness and oxygen. It has been noticed that after sprouting the weight of the contents go about six times more. 4) The water which increases the volume and weight undertakes surprising changes due heat, darkness and by the action of the oxygen. 5) What generally people want to get in the nutritive contents from tablets, capsules, syrups and injections are readily available in the sprouts. 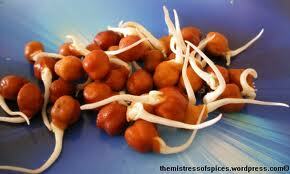 The sprouts are juicy, sweet, anti-constipative, predigested form of food. 6) It should be understood that carbon dioxide and some other gases are released when the sprouting takes place. As the seeds etc burst with shoots appearing due to the sprouting is continued and the working process is underway.